Can an Online Accounting Degree Really Prepare You for a Job in the Real World? If you enjoy making sense of numbers, an online accounting degree may be right for you. With debits and credits, balance sheets and trial balances, businesses of all sorts need knowledgeable experts but will online study offer you a chance to gain entrance to this “numbers” society? Accountant and bookkeepers must follow what are known as the GAAP rules or Generally Accepted Accounting Principles. GAAP is not just a buzzword acronym and includes determined rules set by the Financial Standards Accounting Board (FASB) and the Government Accounting Standards Board (GASB). Business financial books fear many, but to one armed with an online accounting degree, these books present a challenge of absolutes and excellence to ensure accurate and reliable financial statements. 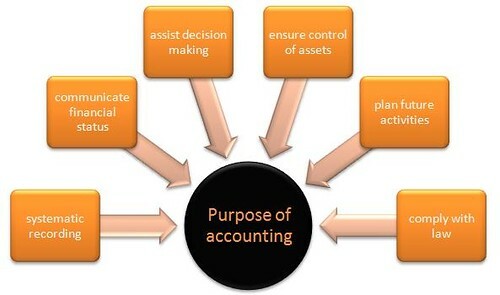 Further, the accounting field is vast in job opportunities and follows a set cycle through managed organization. To those who work in the accounting field, the ability to make sense of financial books is like a mysterious puzzle where they are in control of making the pieces fit accurately. Working in a field that is so numbers intensive offers a feeling of accomplishing something others can’t do. Accounting principles have set rules so even if you get a job where they utilize accounting software dedicated to their industry the accounting rules stay the same. You may need to learn the software at hand but the principles never change. Financial statements also have basic elements. For example, a balance sheet will always show assets, liabilities and reveal owner equity. Profit and loss statements may appear different in format, but all of them show income minus fixed and variable expenses to determine a net profit. A trial balance will always show every bookkeeping debit and credit made to every asset, liability, revenue or cost account. Once you are educated and trained, other fascinating jobs in the accounting field include overseeing a group of accountants or bookkeepers, becoming a corporate controller, setting up your own firm and offering business services such as tax preparation and payroll services or going the personal route and being dedicated to those needing accounting services on a personal level. With so many people changing careers due to high unemployment rates, seeking out the right educational venue like a Bryant &Stratton accounting program will get you your online accounting degree and prepare you for the real world. According to the Bureau of Labor Statistics most recent survey, the median salary for trained accountants is $34.15 per hour or $71,040 annually but these numbers don’t include those in the field who start their own firms, become CPAs, or those who work high on the corporate ladder. Armed with an online accounting degree you can expect to work in a variety of corporate, nonprofit and government fields. Many accountants dedicate their careers to auditing books and financial records which offers a great income stream along with the ability to travel. An degree in accounting can take you a long way and with the variety of job opportunities available, if numbers entice you, consider the advantage of a degree and let the field guide you to the top—no matter what area you choose to specialize in. Amanda Brown is a freelance writer whom enjoys reading and writing about education, finance, and careers. She enjoys playing and coaching volleyball, and spending loads of time with her friends and family, including her dog, Charlie.